I love scrapghans. I've even designed a few of them myself. I wanted to have them all in one place, and I thought why not add a whole bunch more to the list. 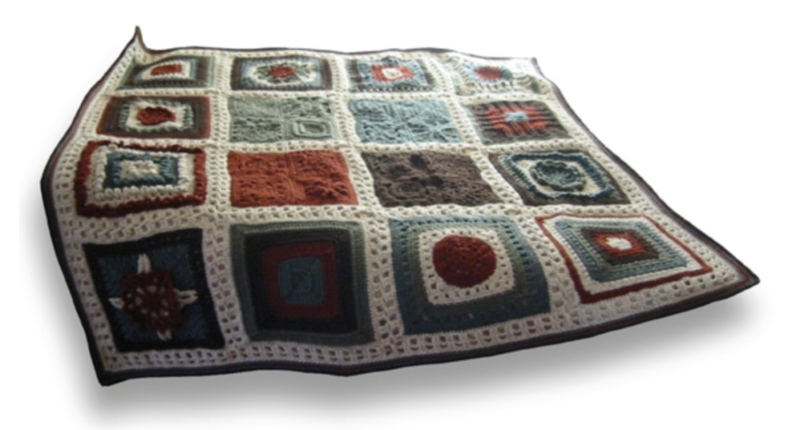 Some of these blankets I have not made, some of them I have. 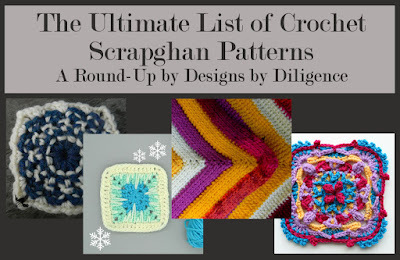 Most of the patterns listed are free, but a few of them are paid patterns. I had a lot of fun making this list. I hope you find a new favorite! Are you new around here? There are great ways to stay connected. 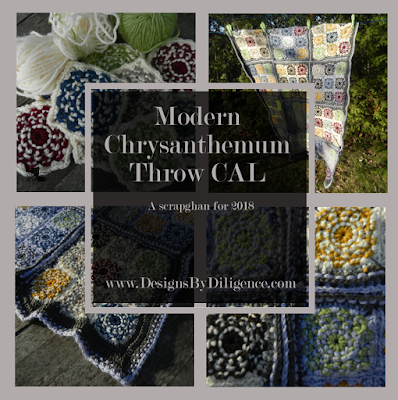 If you like this round-up be sure to subscribe to Designs by Diligence to get notified when new patterns and posts come out. The only time you will get an email is when a new post happens on the blog, usually on Tuesday. I love that this one is so simple, but it is so much better with all the colors. This one is just a stunning show stopper. This is my newest Scrapghan. I try and make up a new one every year. 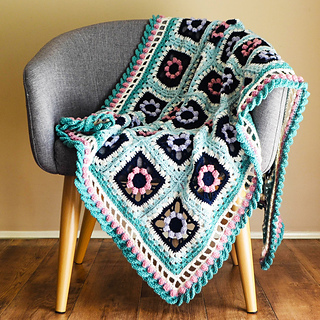 Who knew that by just changing the granny square just a little could make the whole pattern pop! 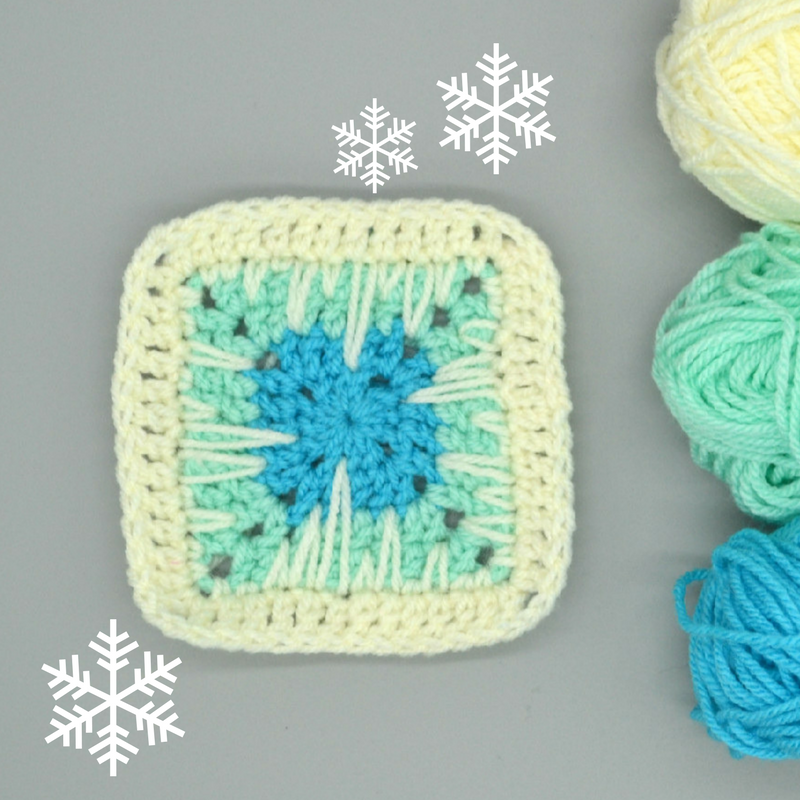 Mickey always has a great eye for detail and this square has a lot! I always love all the color that Tuula puts into her designs. This square has always been a favorite of mine. I made this pattern years ago. I keep telling myself that I'm going to update the colors on it. I just need more time. This one just looks so modern. 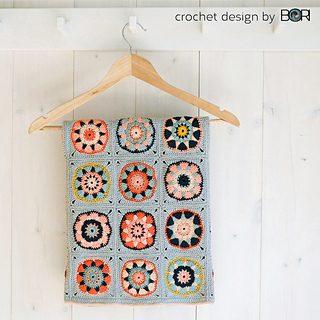 You can use the littlest of scraps on this one and it would still look great. You can never go wrong with a traditional pattern. 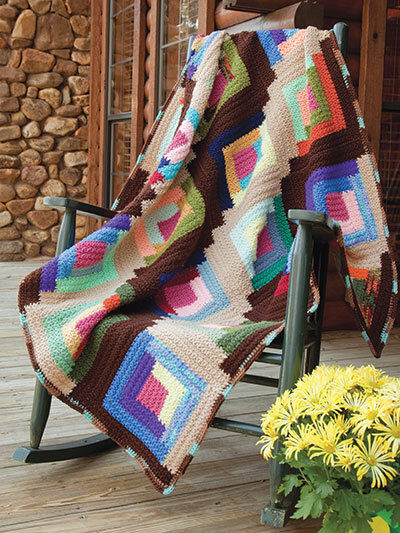 This was my take on combining the ten stitch blanket with the log cabin blanket with the mitered square blanket. 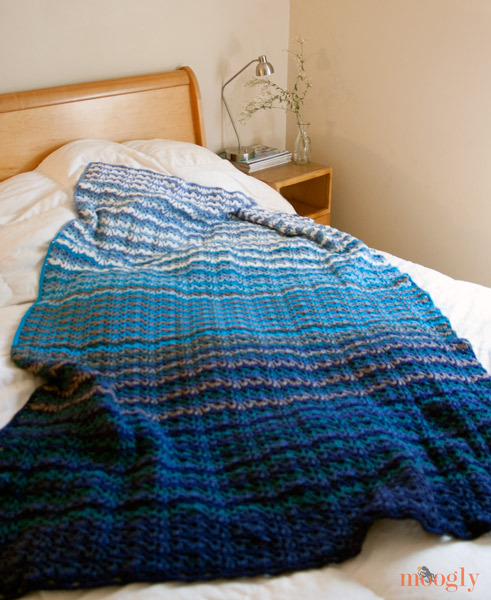 I love the story behind this blanket and it is one that I have made as a scrapghan. I did every other row as a different color and white. It's a family favorite cuddle blanket. 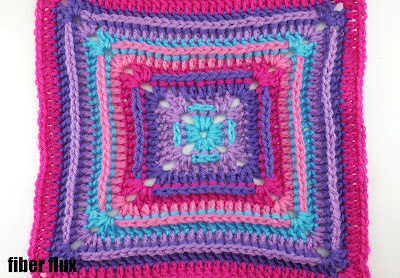 I just really love the texture that is in this square. There are so many possibilities with this blanket. 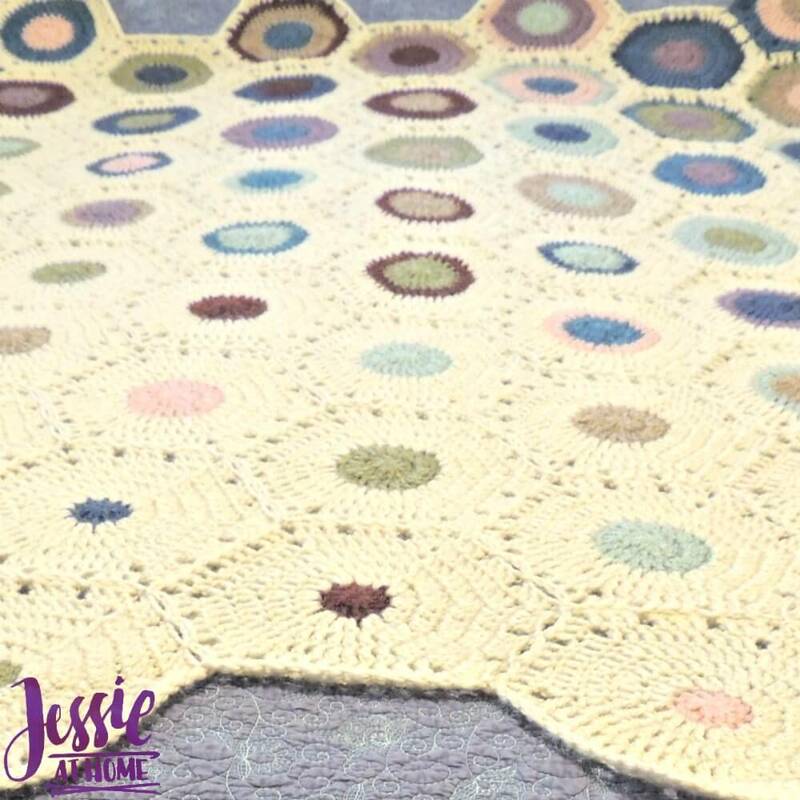 When I first started crochet, this was my first big project that I undertook. I still have it. This blanket taught me so many new things. It will always hold a special place in my heart. I Made this pattern while I was pregnant and I was really trying to whittle down my scraps. It's a great t.v. watching blanket. I love the concept of this one! 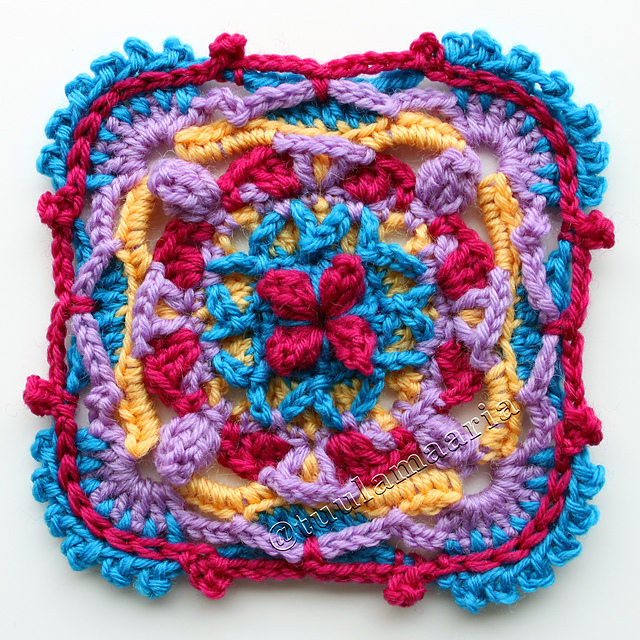 I really like this modern take on granny squares, I mean granny rectangles. 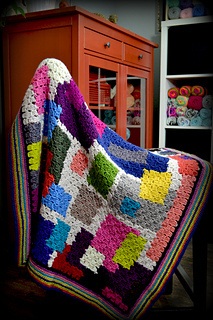 This is one of the very first blankets I designed. 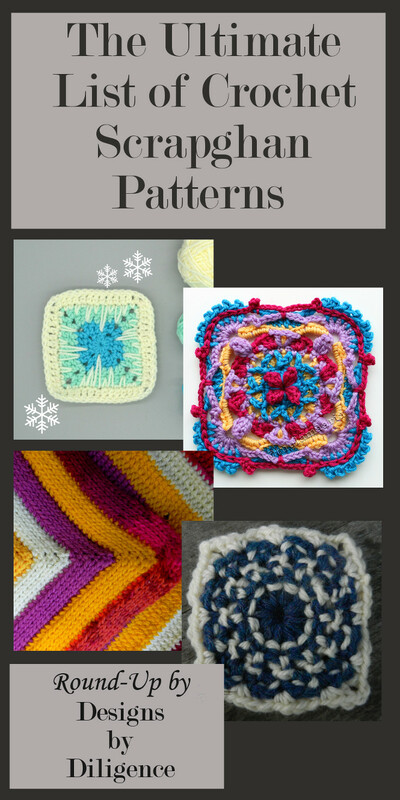 The squares are quick to make and they are join as you go so you can't lose them. 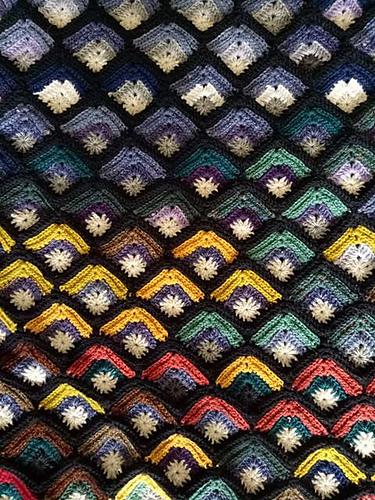 Again, I just really love all the texture happening in this blanket. 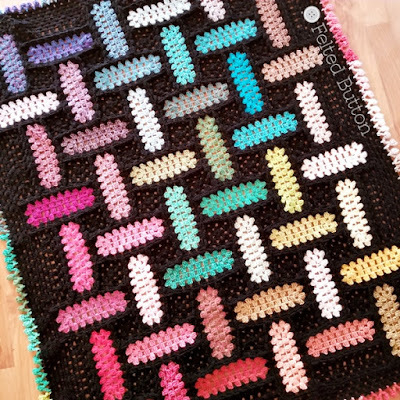 I love the color choices for this blanket. What scraps would you use?